The Delegation of the European Union in Bosnia and Herzegovina and the EU Info Centre every year mark Europe Day, May the 9th, with numerous informative and cultural events across Bosnia and Herzegovina. 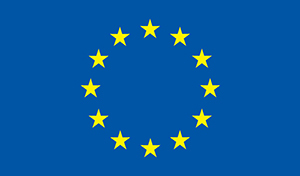 The European Union launched 2018 as European Year of Cultural Heritage so this is a unique opportunity to show the value of cultural heritage in Europe in strengthening togetherness and identity. Europe Day is also an occasion for activities that bring universal values such as tolerance, peace, security and the rule of law closer to the people. Europe Day will be marked in Jajce on the 7th of May with a large open-air event in “Pliva” park, where visitors will be able to enjoy foods from all parts of BiH and European Union Member States, made jointly by the staff of embassies and culinary school students from the whole of the country. Two celebrity chefs from Romania and Italy will also join in this non-competitive cooking show. Numerous young performers, dance groups, and cultural-artistic associations will participate in the entertainment part of the program. In the evening hours, we will illuminate Jajce waterfall with the EU flag, where a pop-rock band from Mostar will play “Ode to Joy” and take part in the European musical challenge, initiated by Europa Nostra, the leading European cultural heritage organisation. The reception marking Europe Day will be held in the “Dom mladih” Youth House in Sarajevo, while on May the 11th a Pop Art Festival will take place. A design workshop entitled “EU in Pop Art”, led by the renowned BiH designer Aleksandra Nina Knežević, took place on April the 27th. The workshop gathered young artists and the result of their joint work has created the official poster for this year’s Pop Art Festival. Young people will leave their mark on the streets of Mostar, Banja Luka and Brčko during the week of 14 – 18 May, presenting the results of the “My city in the EU” competition. Young creative individuals will decorate the entrance of the Technology School in Banja Luka, artists in Brčko will carry out a street painting performance, while in Mostar the University amphitheatre wall will be painted. The artists will give new life to unsightly areas modelled after works on building facades across Europe. The journalists meet-up in Mostar, where representatives of media houses will be able to talk with Ambassador Lars Gunnar Wigemark, who is the Head of the Delegation of the EU in BiH and Special Representative of the EU in BiH, about the vital role of BiH media in the accession process, will be held on May the 14th in the EUIC Office in Mostar. A Twitter conference will be held on May the 18th at the EU Info Centre offices in Sarajevo, Mostar, Brčko and Banja Luka, on the subject of “European cultural heritage” with the hash tag #DanEvropeBiH. During this conference, Zlatko Ganić, a digital media specialist, will talk about digital marketing at the EU Info Centre office in Sarajevo. In addition to the traditional European Film Week, this year the EU Info Centre has arranged for films from Poland, Hungary, France, Greece, Spain, Slovenia, Bulgaria, Sweden and the Czech Republic to be shown in smaller towns, namely in Bosanski Petrovac, Maglaj, Gradačac, Ljubuški, Vlasenica and Ključ, from 21 to 26 May. Snežana Zorić and Željka Vračević from Prnjavor won the “Europe Day on Your Town Square” competition. Through this competition, we aimed to see how the citizens of BiH wished to celebrate Europe Day in the square of their hometown. The winners of the competition will, with the assistance of the EU Info Centre, carry out their proposal on the main square in Prnjavor on the 24th of May. In addition to this open-air event, a mini Start-Up Festival of companies in the initial stage of development within the sectors of cultural heritage and tourism will also be held, as well as a meet-up of journalists from smaller newsrooms. The European Union National Institutes of Culture in BiH (EUNIC BiH) and 11 European Union Member State embassies will organize the European Film Festival 2018, which will be held from the 30th of May to the 9th of June at the “Meeting Point” cinema in Sarajevo. In addition to the events organised by the Delegation of the European Union in BiH, European Union Member State embassies are also marking Europe Day with their own activities. The Concert “Europe – an Unfinished Masterpiece” by Miha Pogačnik, a Slovenian violinist and Cultural Ambassador of the Republic of Slovenia, was organised by the Embassy of the Republic of Slovenia, and held on the 3rd of May at the BiH Army House. The opening of the exhibition “Venetian view – from the Intesa Sanpaolo art collection” is planned for the 10th of May. The exhibition is being organised by Intesa Sanpaolo Bank, Intesa Sanpaolo Bank Bosnia and Herzegovina, and the City of Sarajevo with the support of the Italian Embassy in BiH. In the context of the European Year of Cultural Heritage, this special exhibition will offer the city of Sarajevo and its citizens masterpieces by great Italian and international painters such as Canaletto, Francesco Guardi, Michele Marieschi and Hendrik Frans Van Lint from the Gallery d’Italia – Palazzo Leoni Montanari in Vicenza.